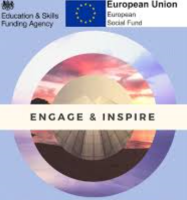 This programme is funded by European Social Fund and delivered by InPower and is completely free if you are eligible for space. You can pick which sessions are suited or come down and one the team will identify your key skills and areas to work on and let you know which workshops will be the most worthwhile for you. All of the workshops/sessions have a resonating theme of improving ourselves as individuals and really acquiring and identifying key skills that you have that will see you flourish both in personal and working life. To achieve this we have a range of workshops and are delivering a level 2 qualification. Wednesday's - will be centred around physical fitness as we there are numerous articles out there that link physical fitness to mental health. We will have specialised trainers coming in and put on some of the following. So as you can tell it is going to be an extremely exciting and beneficial programme and its completely FREE. The only downside is we are limited on space and can only take on 20 participants so if you are interested please contact us at admin@inpower.co.uk as soon as possible. For further information please do get in touch. We look forward to helping you change your lives for the better.